Cambridge Comprehension and Composition for Schools, an eight-level course, has been designed for young learners to develop and strengthen their reading, writing and thinking skills.The texts in the books present a wide range of themes, genres and styles: selections from classics, extracts from contemporary fiction, fascinating prose pieces as well as thought- provoking poems. 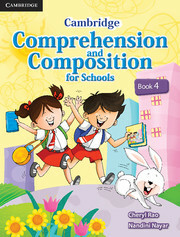 The emphasis is on extensive reading for information, enjoyment and implication. 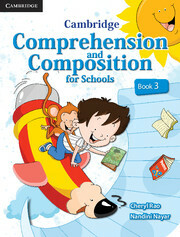 The series also teaches writing skills facilitated by a variety of tasks that focus on structure, style and fluency.